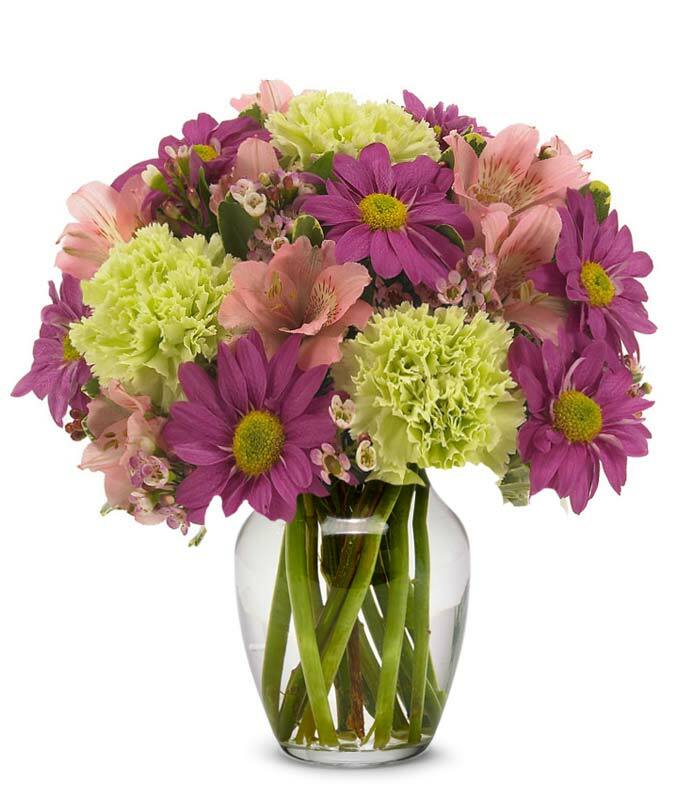 Light green carnations, pink alstroemeria and waxflower, and purple daisy poms come together for a splendid springtime bouquet. The Love & Admiration Bouquet would make for a great birthday, graduation house warming gift and available for same-day delivery. Arranged by a local florist, the colorful blooms are situated in a large glass vase. Order today for delivery same day. Measures 9"H by 9"L.